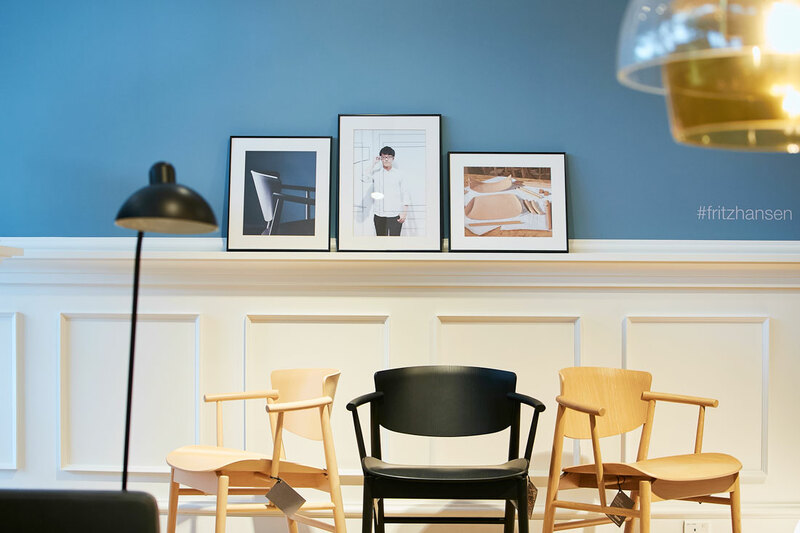 An irresistible blend of Danish and Japanese aesthetics, Nendo’s N01 Chair for Fritz Hansen is now available in Singapore. 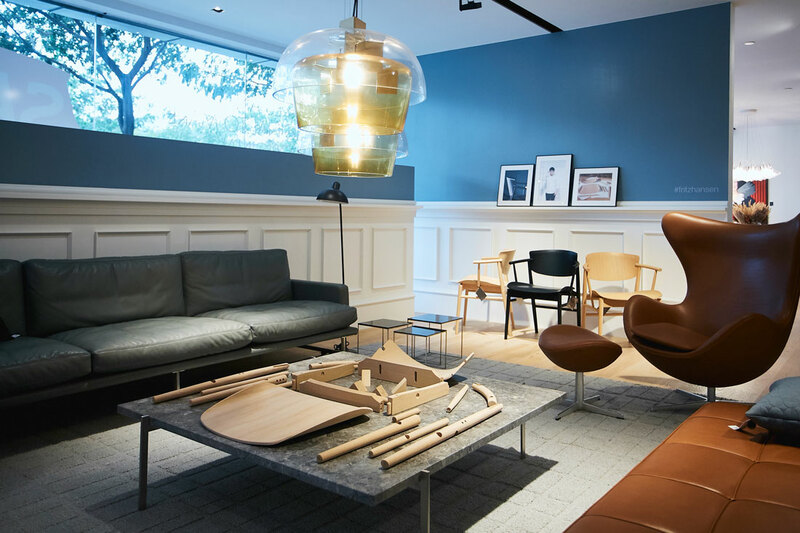 W.Atelier and Fritz Hansen celebrated N01’s arrival with a Japanese-themed soiree. 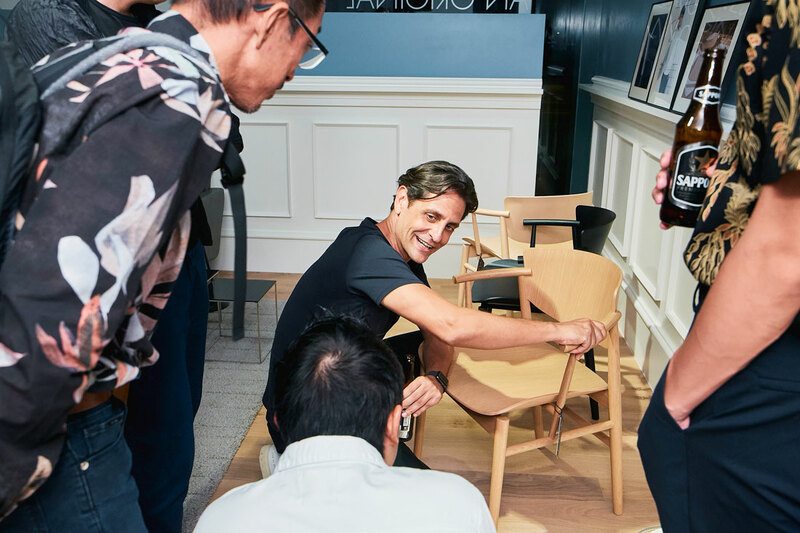 “It was one of the toughest projects for me in my 15-year career, but it was one of the most exciting,” said Oki Sato about Fritz Hansen‘s N01 chair in an interview with Indesignlive in Milan earlier this year. 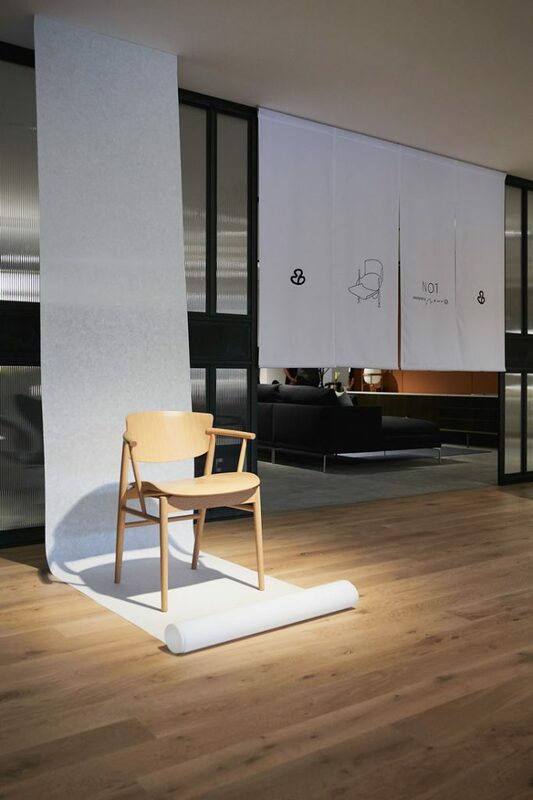 An irresistible blend of Danish and Japanese aesthetics, Nendo‘s N01 Chair was one of the design fair’s highlights. 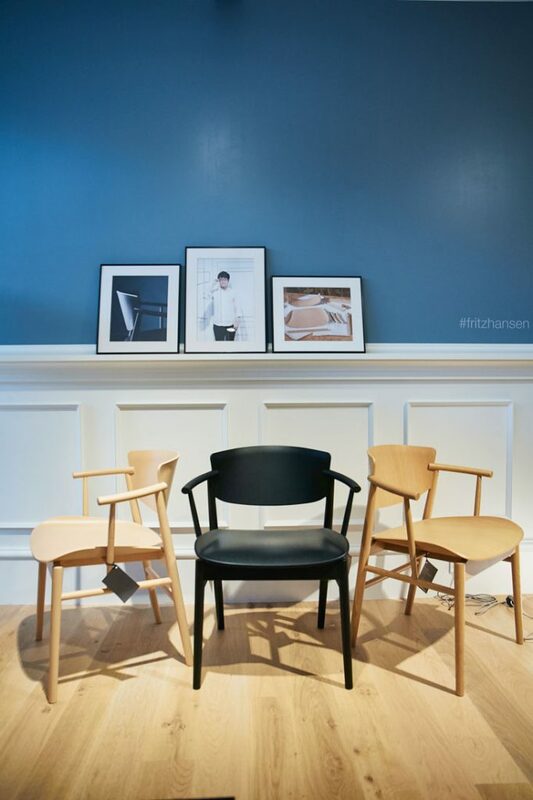 N01 has made its way to Singapore, courtesy of The Republic of Fritz Hansen and W. Atelier. 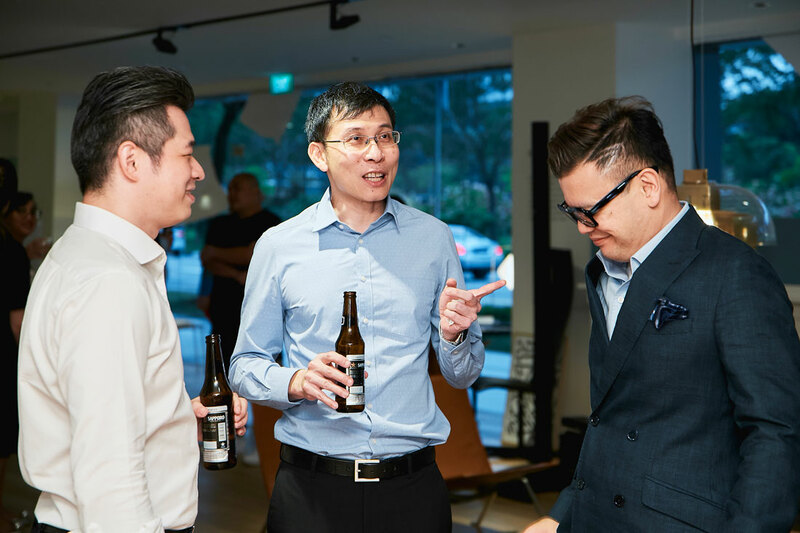 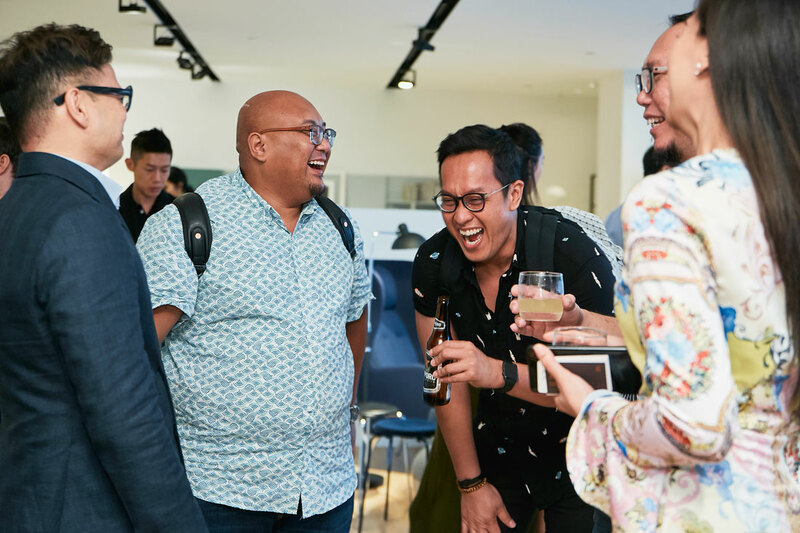 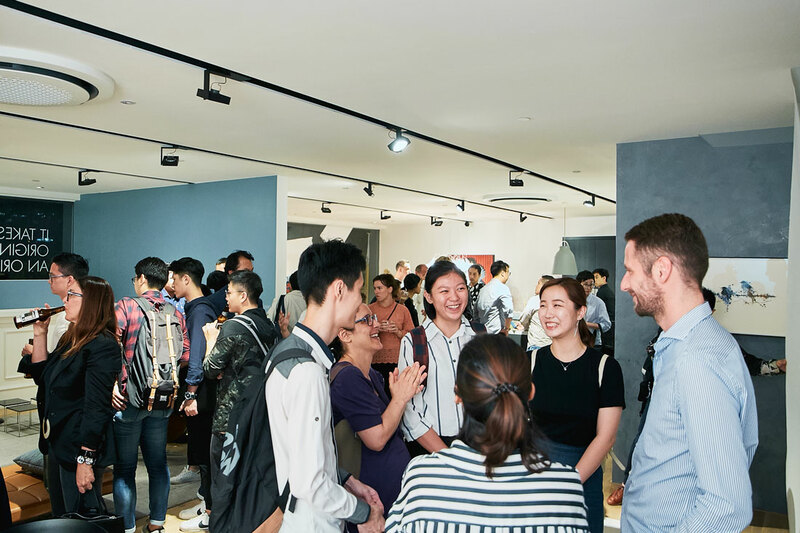 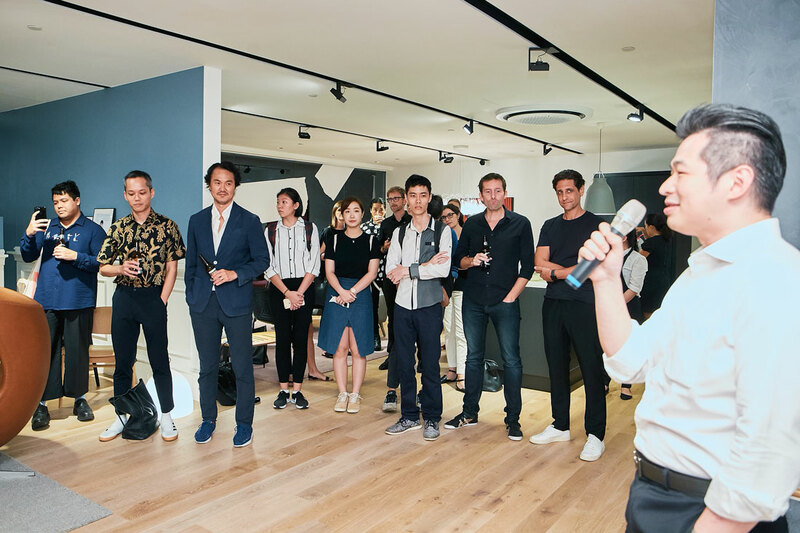 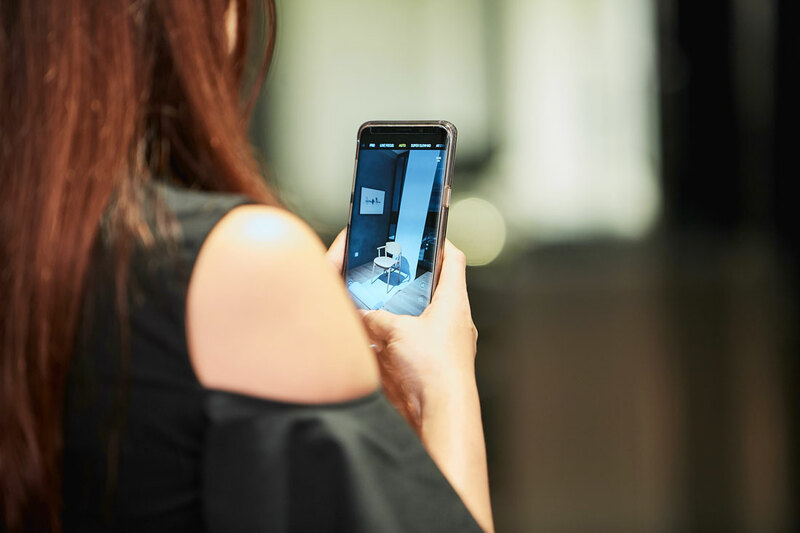 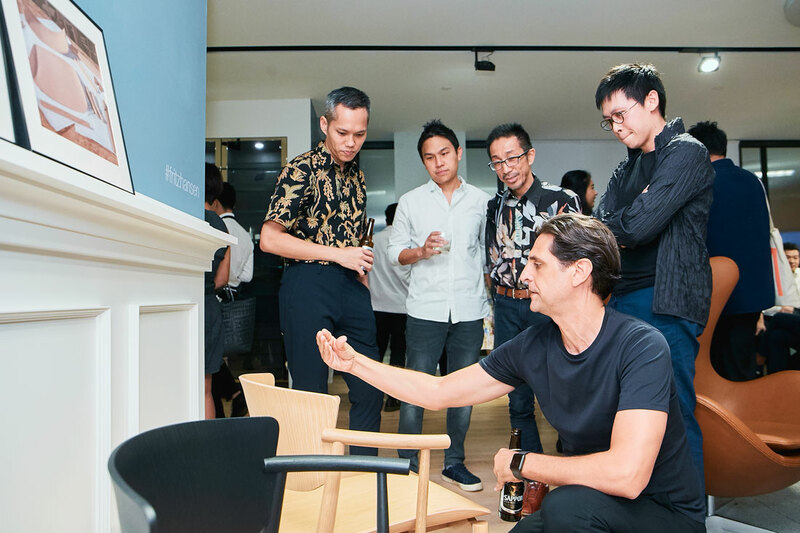 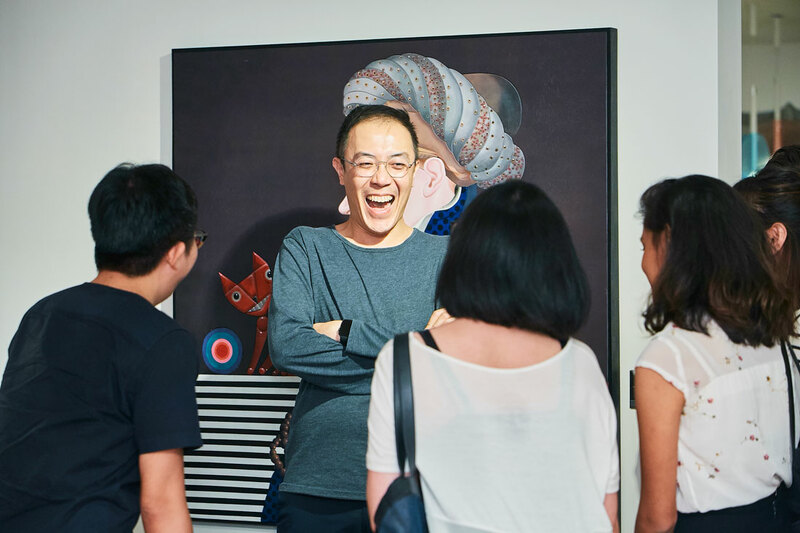 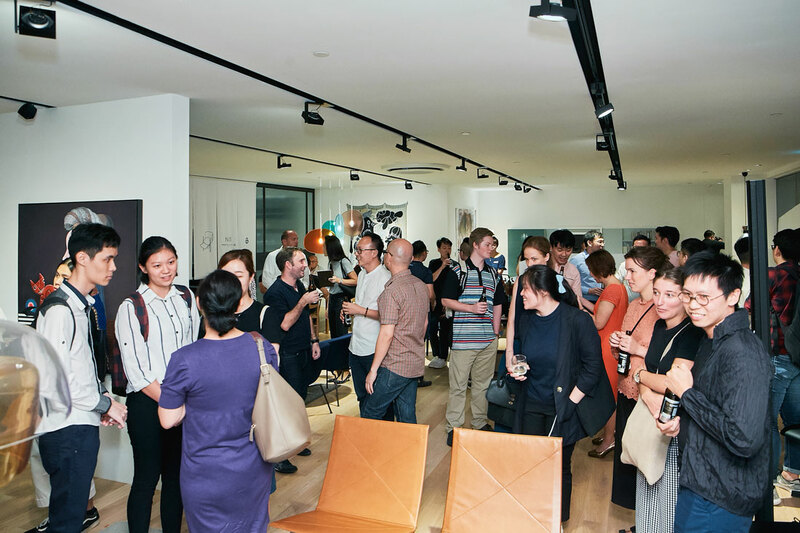 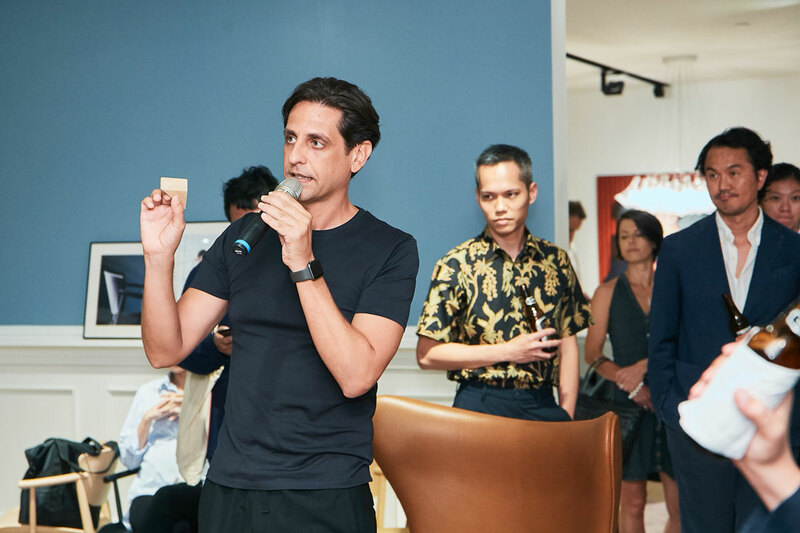 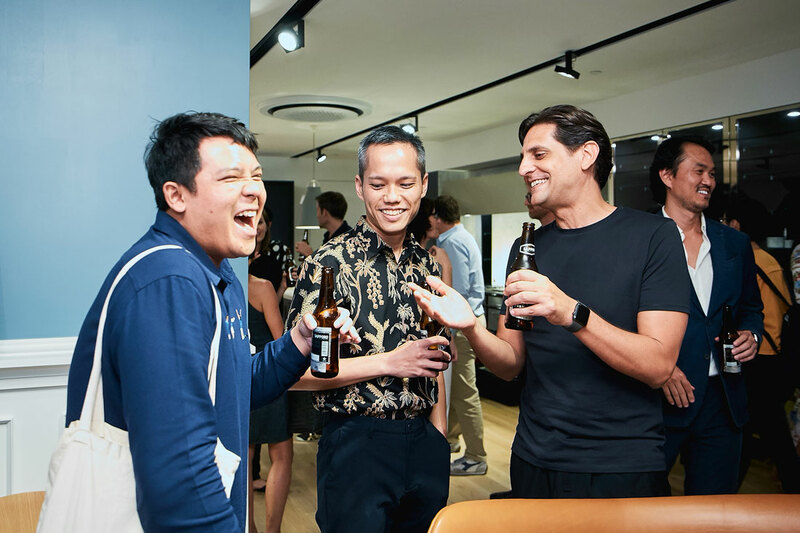 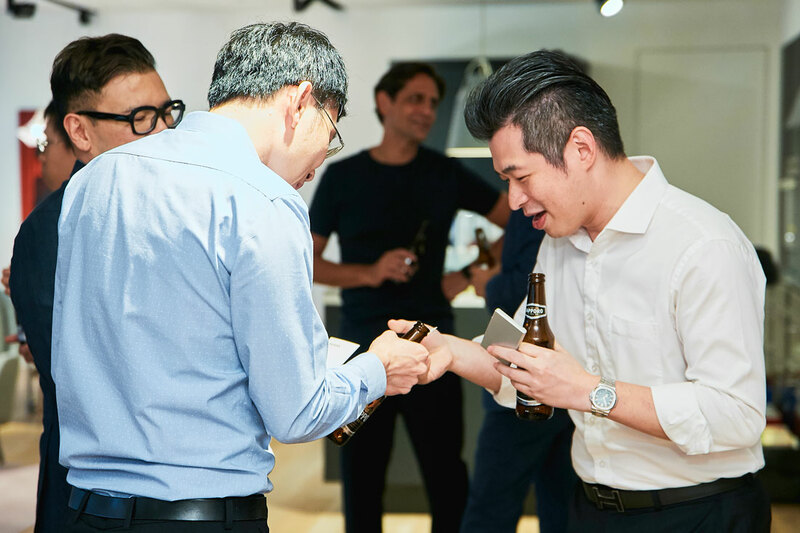 Brand and retailer celebrated the arrival of the chair with an intimate reception on the auspicious eve of 8 August attended at W.Atelier’s Bukit Timah Showroom. 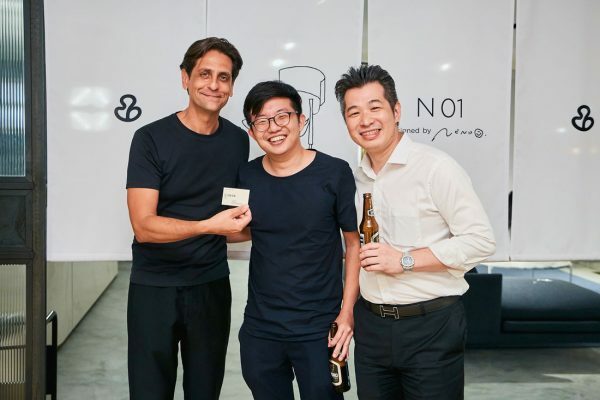 “We are immensely pleased to unveil the N01 chair here in Singapore. 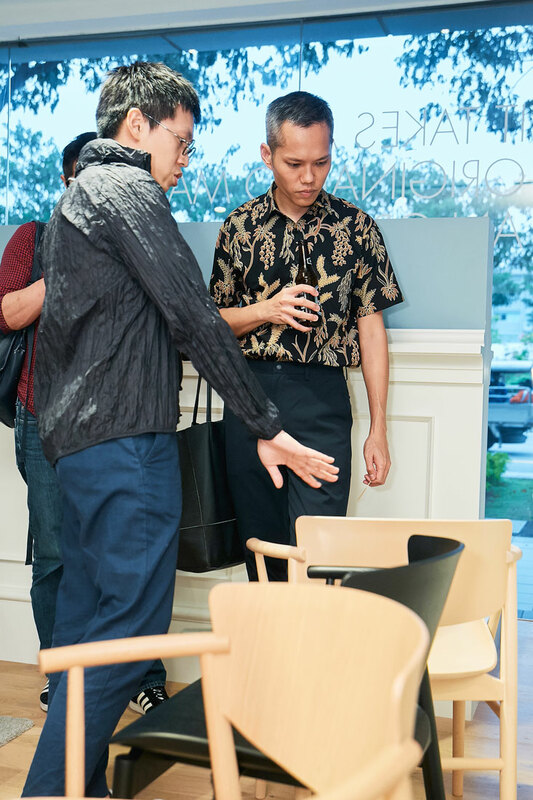 This was a chair that was born out of a synergistic design philosophy between Fritz Hansen and Japanese design studio Nendo, and the result is this stunning piece of artistry,” said W. Atelier Managing Director Gani Atmadiredja. 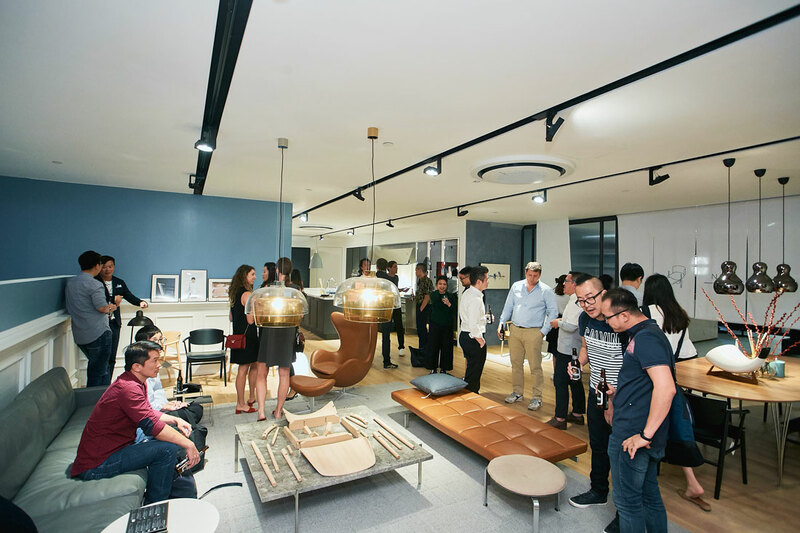 Fritz Hansen received design proposals from around the world every day, but rarely finding a suitable collaborator, according to the Fritz Hansen CEO Asia Dario Reicherl. 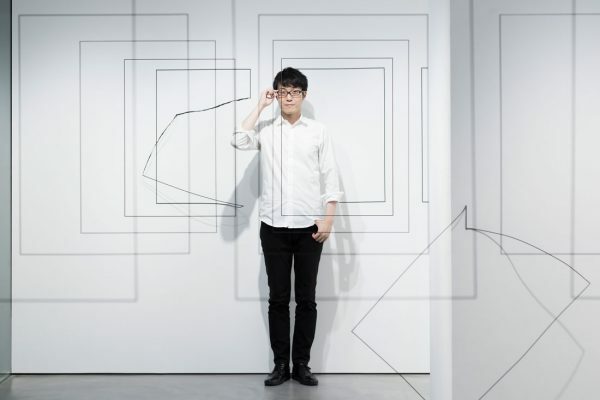 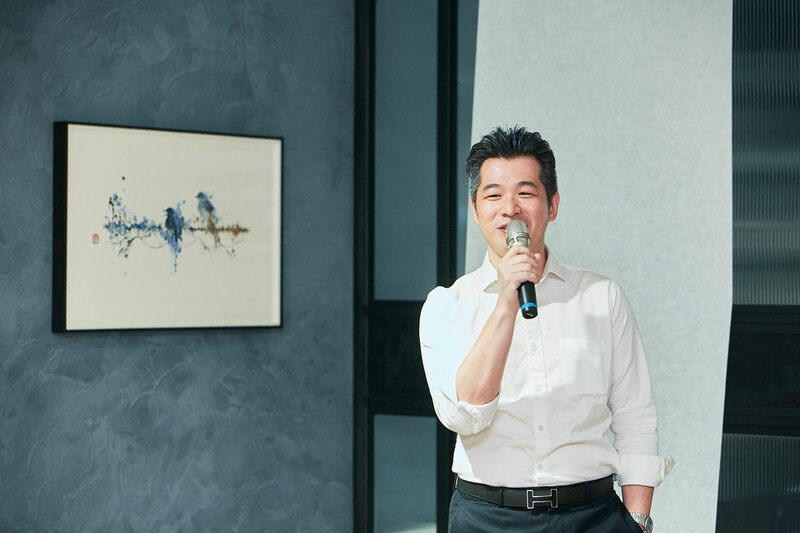 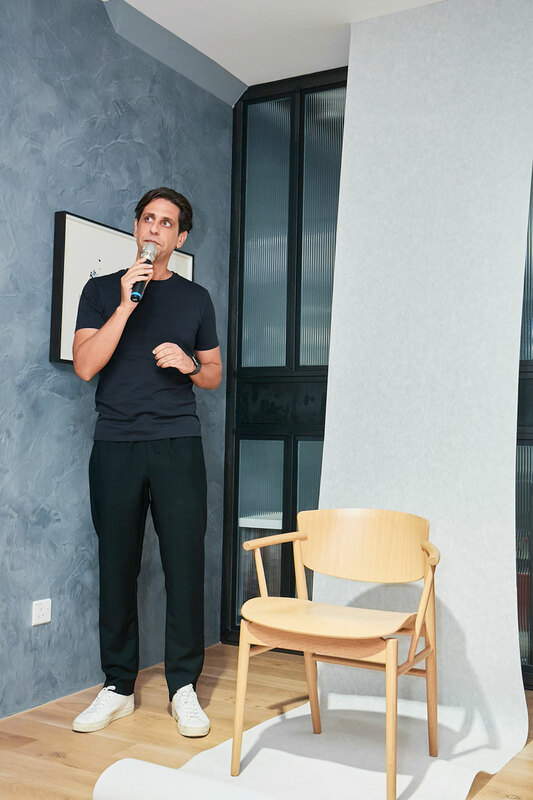 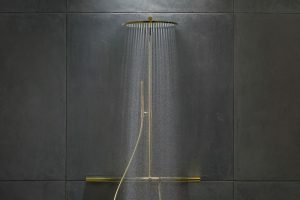 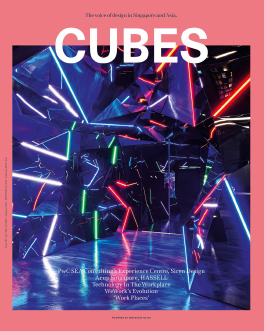 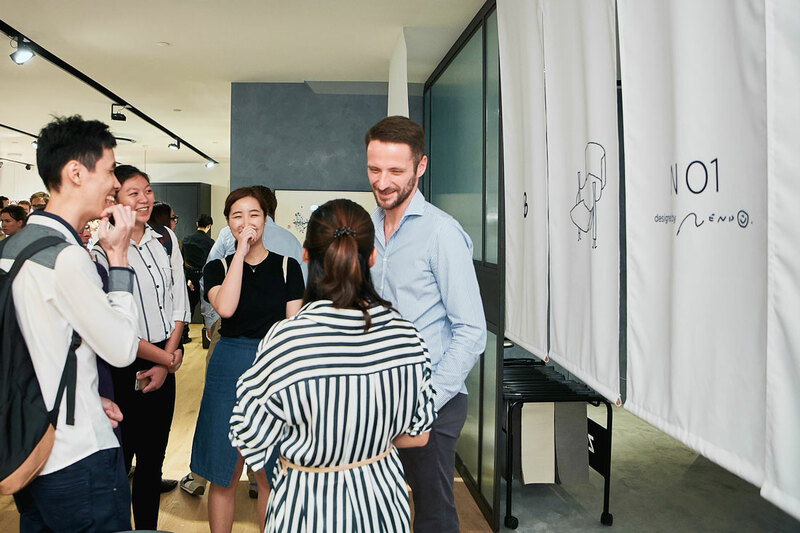 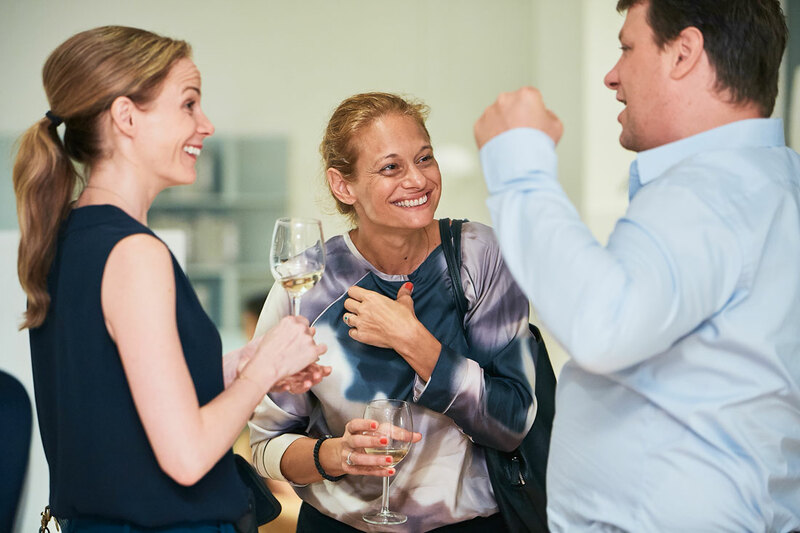 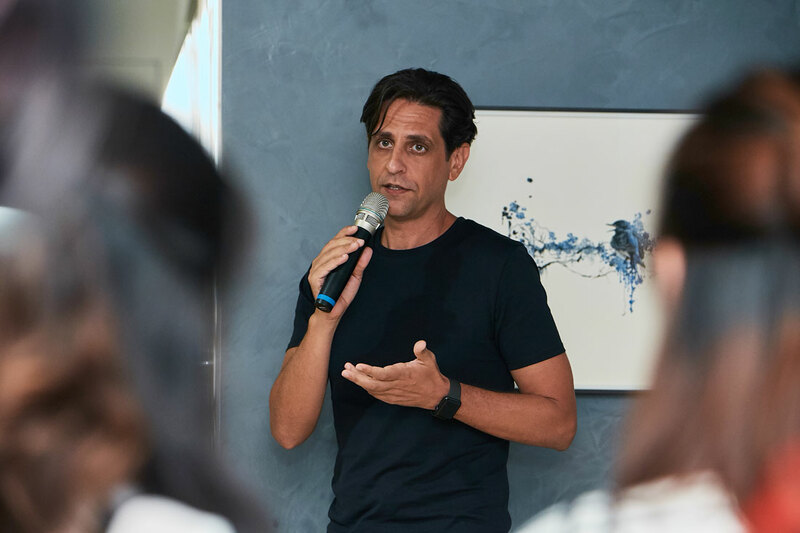 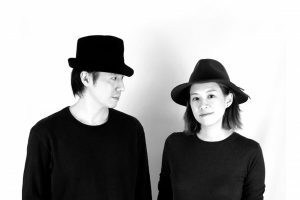 “This collaboration with Nendo is the first collaboration with a contemporary designer after our collaboration with Jaime Hayon started almost a decade ago – it’s a nice timing,” said Reicherl at the event. N01 is the first of many projects from Nendo for Fritz Hansen, he promised. 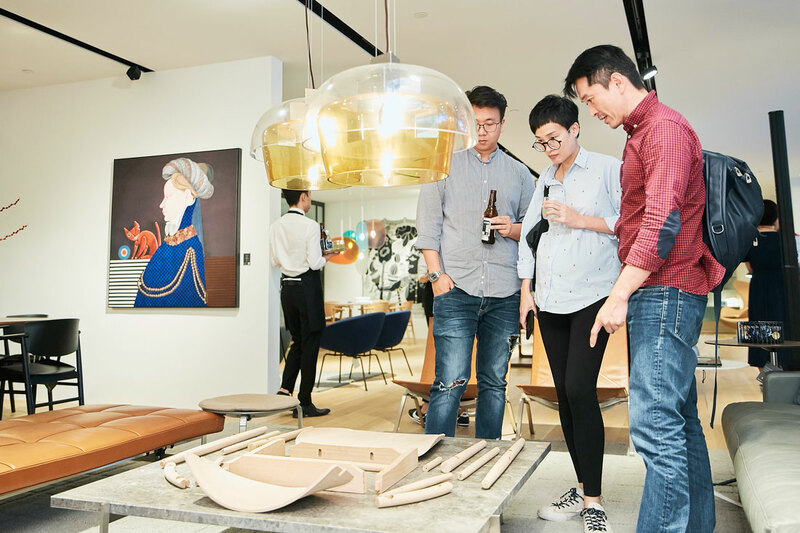 Each N01 is hand-assembled using 23 pieces of solid wood and veneer, resulting in a sleek construction that gives off a lightweight feel. The chair features a gently curving seat and back panel, and inventive joint that gives the impression that the shell is merely resting lightly on its frame. 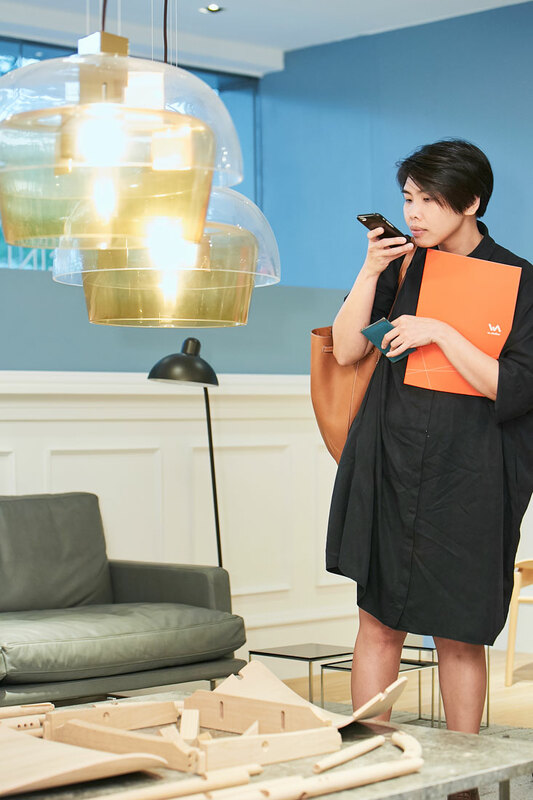 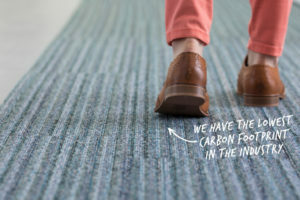 “N01 looks lightweight but is extremely strong. 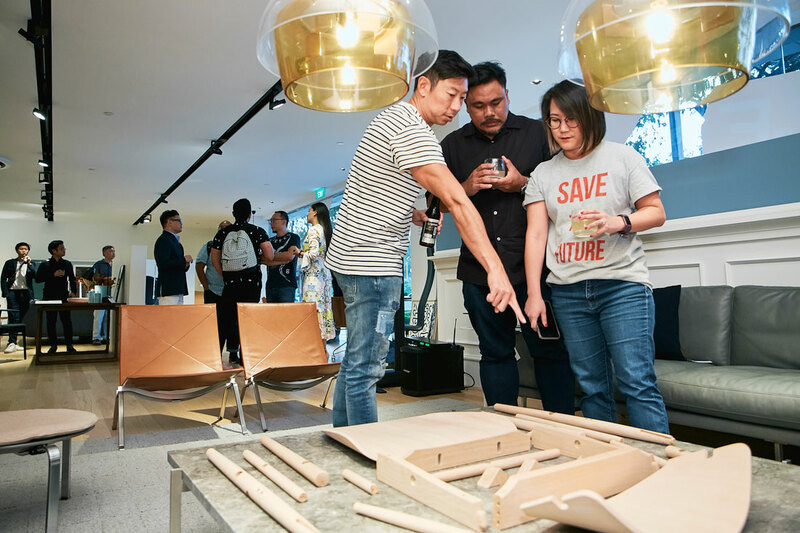 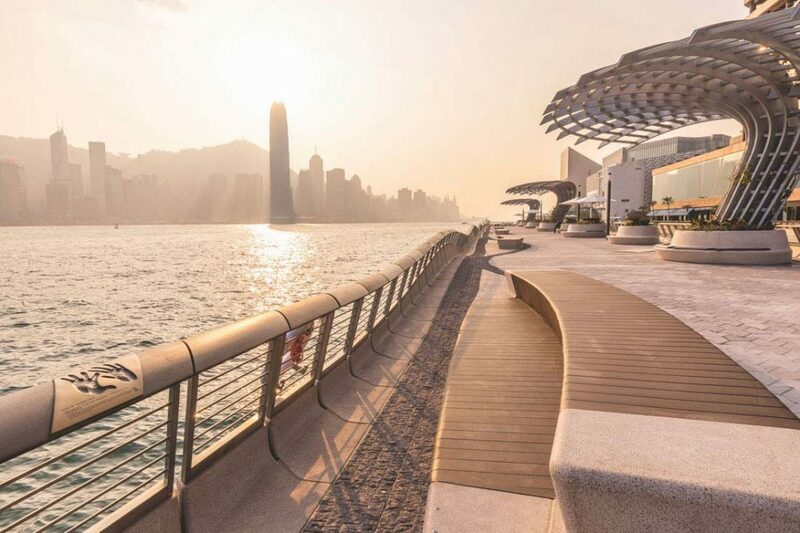 We are confident that Singapore will appreciate the beauty of the N01, as with all our other highly sought-after iconic chairs in our brand,” added Atmadiredja. 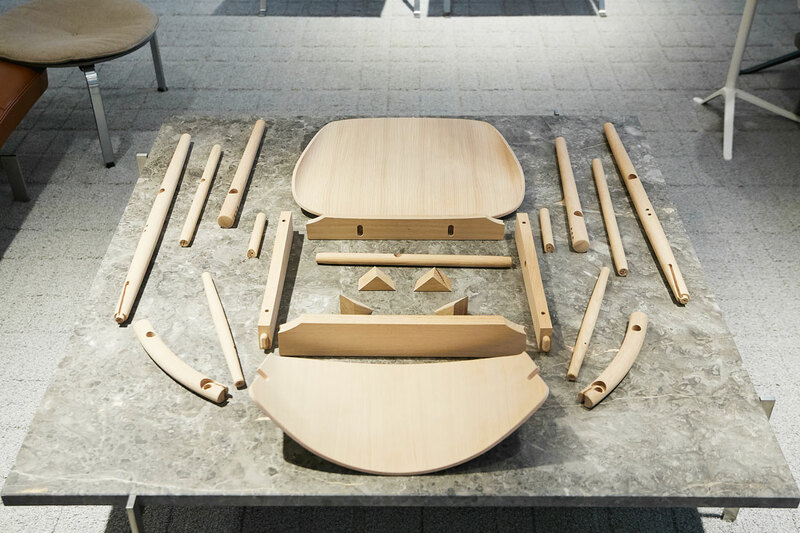 N01 is available in three finishes (Black Oak, Natural Oak and Beech) with optional seat cushions in fabric or leather. 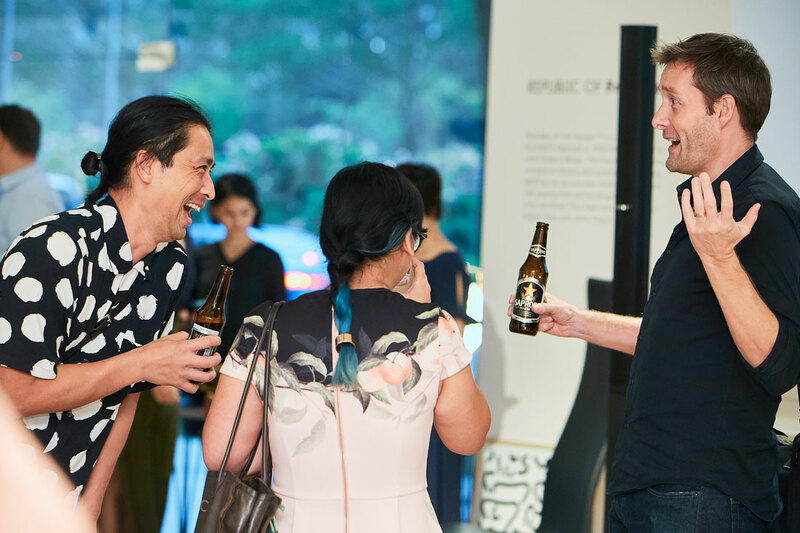 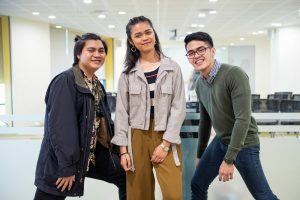 Guests of the launch soiree were treated to a tranquil Japanese-themed evening with delicious Japanese-inspired canapés and beer. 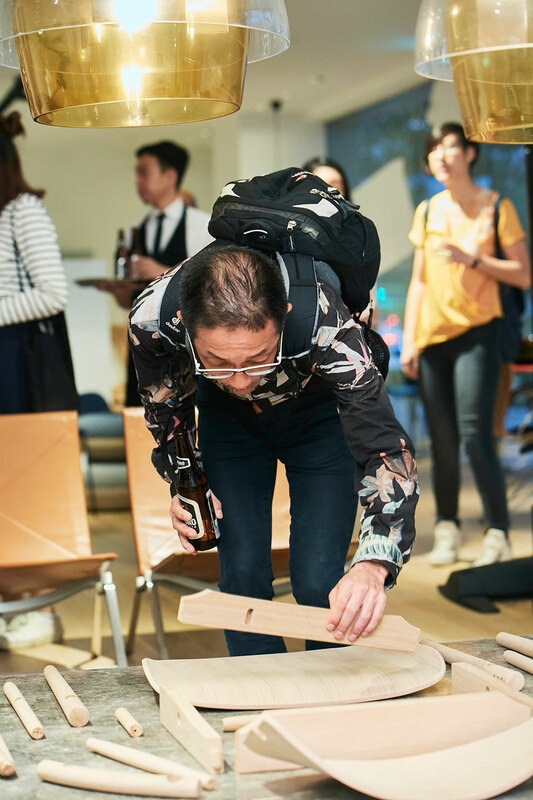 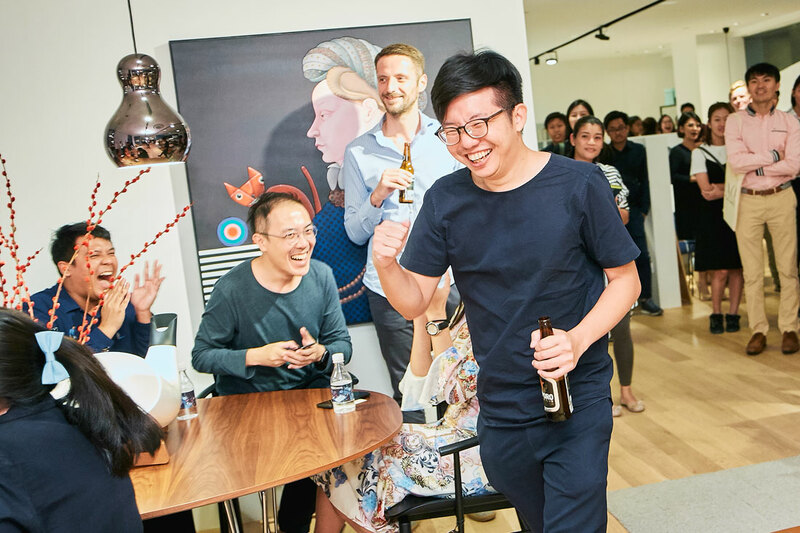 One lucky guest (designer Si Jian Xin from design firm Wynk Collaboratives) won an N01 Chair in a lucky draw. 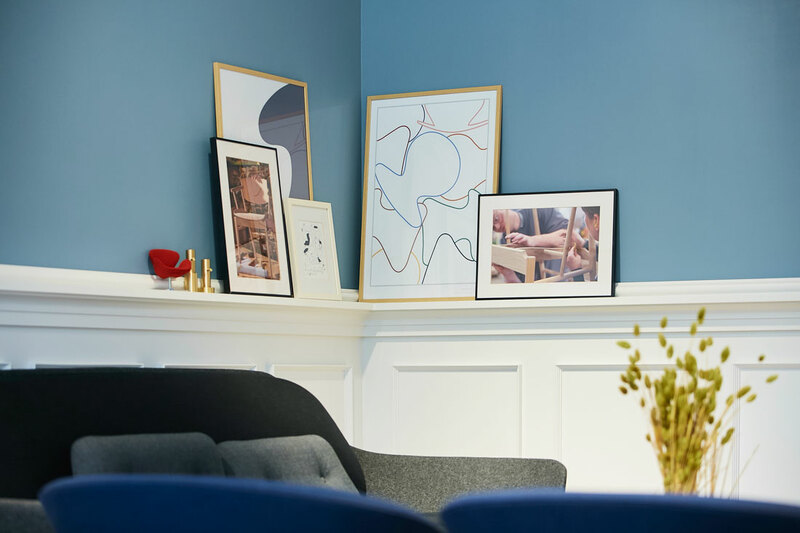 View more images from the gallery below.